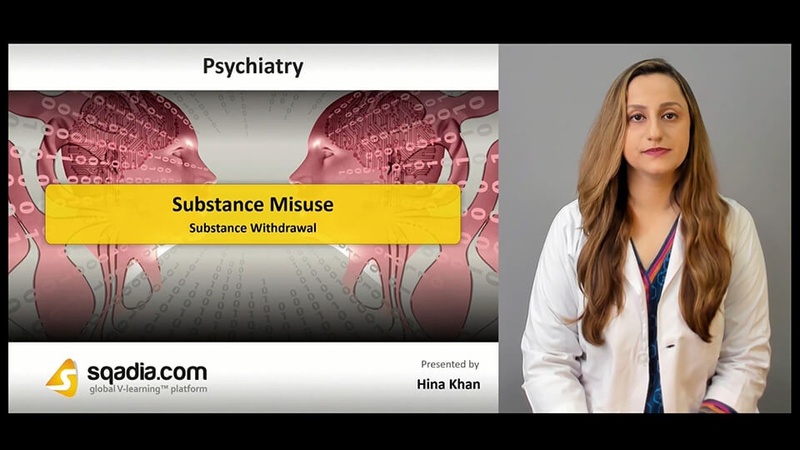 This sqadia.com medical video lecture provides a detail explanation of substance misuse. Illicit drugs, smoking, drug addiction, and dependence syndrome has been conversed about. 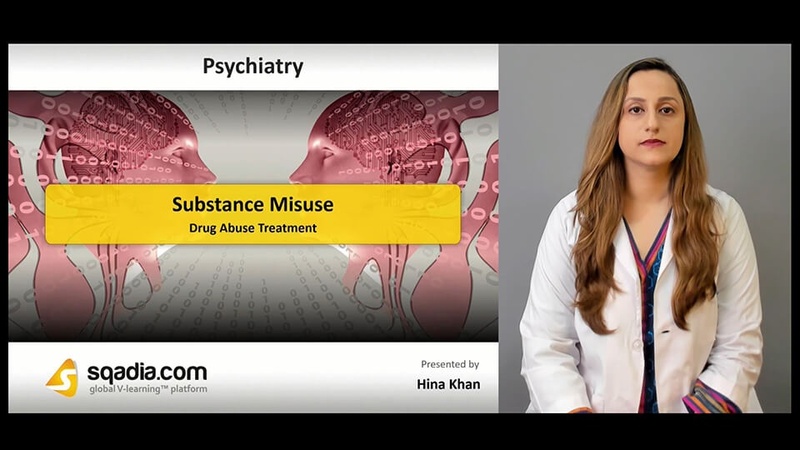 Moreover, effects of drug addiction, withdrawal symptoms, violent behaviour along with the psychotherapy and pharmacotherapy has been explicated. In the beginning of this section, substance misuse and certain presentations have been presented. Additionally, illicit drugs and the various classes of illicit drugs have been elaborated. In the end, smoking has been highlighted. 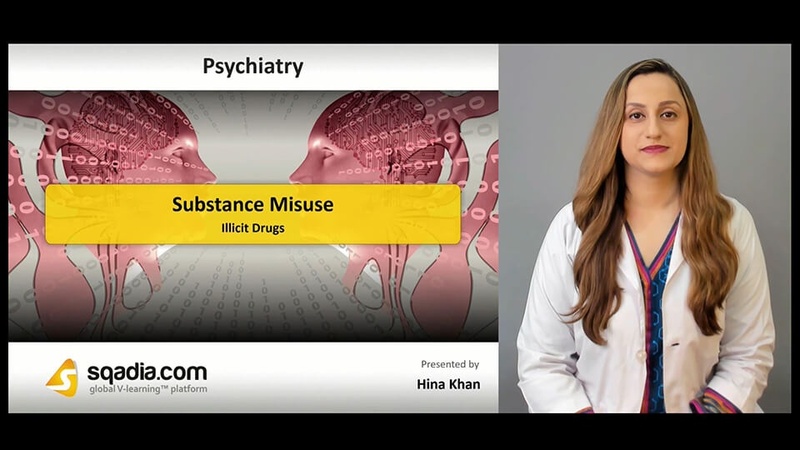 Initially, certain drugs or substances which can be misused along with the harmful use and addiction has been shed light upon. Following this, dependence syndrome and its definitive diagnosis has been brought under discussion. 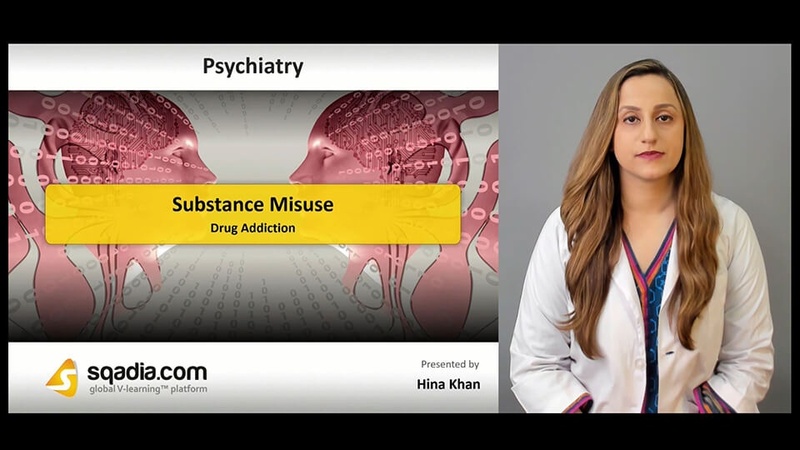 Conclusively, criteria for substance use disorder has also been conversed about. Primarily, symptoms of intoxication and withdrawal has been comprehensively talked about. Furthermore, susceptibility and certain mechanisms have been mentioned in-detail. In the end, biological, psychological and behavioural factors along with the environmental factors have been explicated. 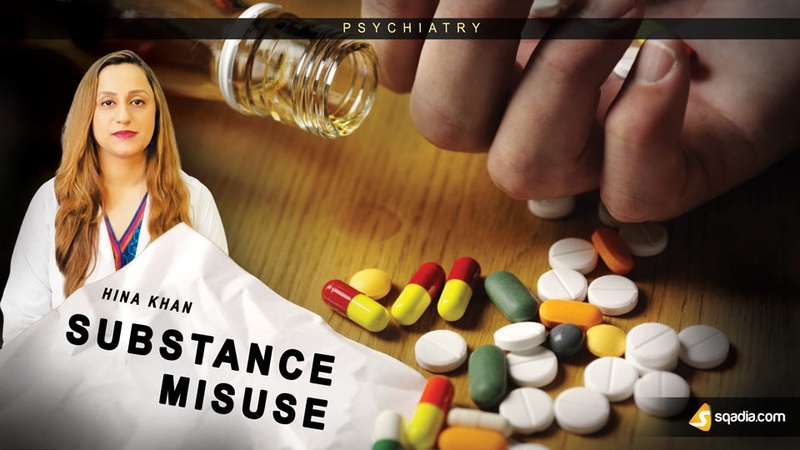 Substance misuse and violent behaviour linkage has primarily been discussed. Subsequently, impact on individual and communities along with the withdrawal from opiates and stimulants have been expansively talked about. Chronicity of use and injecting the drugs has been focussed on towards the end. Initially, components of good assessment alongside the phases of assessment have been brought under consideration. Following this, available treatments, psychological approaches and state of changes have been elaborated. Moreover, brief interventions and pharmacotherapies have been reported.